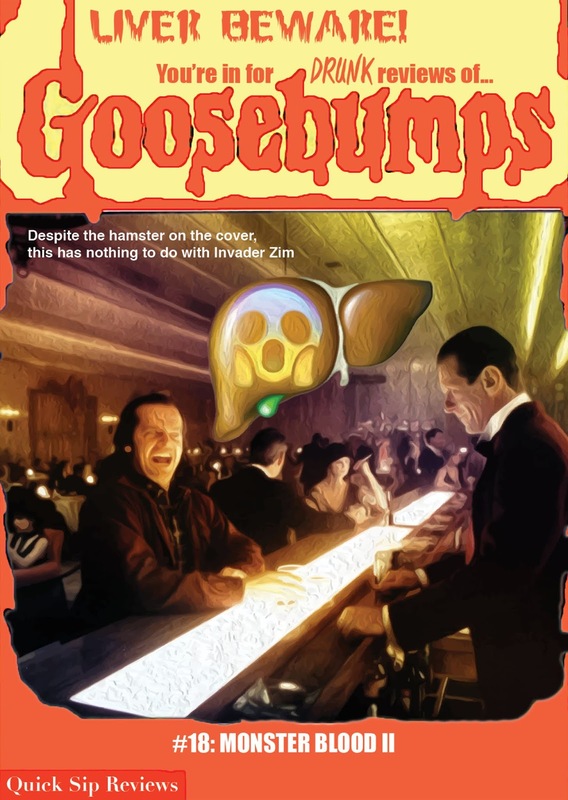 It's a first that I'm exploring this month for Goosebumps. No, no, I'm not doing this sober, don't get too excited. No, I mean that this book represents the first actual sequel that the series has thrown up. As we go, this will happen more and more, as popular individual books become series. 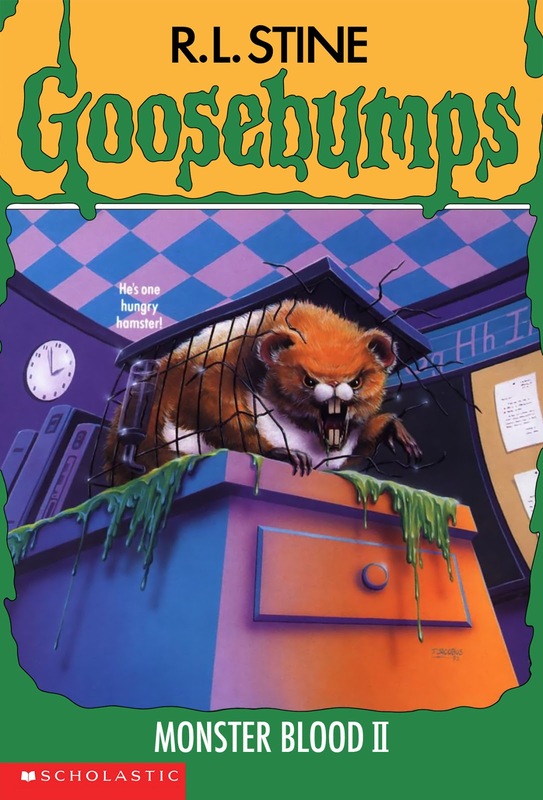 In fact, Monster Blood has four different books in the original run of Goosebumps, which makes it one of the most popular ideas to explore. Luckily for me, I've got a growler full of Chocolate Shake Porter from Boulder Beer, so that might make this experience a little easier to handle. Ready? Let's go! I wasn't expecting to say in this introduction to the April Apex Magazine a goodbye. But with the announcement that the publication will be going on indefinite hiatus following the next issue (which will be guest edited by Maurice Broaddus), it means this penultimate-for-now issue is the last from the current team of publisher/editor-in-chief Jason Sizemore and managing editor Lesley Connor. 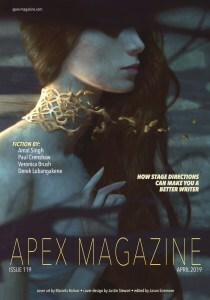 I've followed Apex Magazine for a long time, having read every original story and poem put out since I started Quick Sip Reviews (and even before then as part of my reviewing elsewhere). 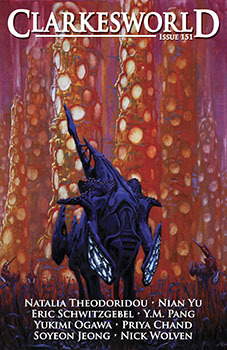 And Apex has always been a venue of challenging, sometimes upsettingly dark SFF. The stories do not seek out the best of humanity, but rather reveal the depths that we as people can sink. Through that murk and grime and grit, though, there's also found the diamond-hard, shining bits of kindness, compassion, and empathy that even the harshest world cannot fully kill, cannot extinguish forever. The latest batch of stories are no exception, and stand as a solid sendoff to a stellar editing team. All health and hope and happiness to all the people involved with Apex, and a huge thanks for showing the light in the dark. To the reviews! It’s a full month of fiction and Clarkesworld, with seven stories (six short stories, one novelette), including two different translated pieces (one from Chinese and one from the brand new line of Korean SFF that the publication will be putting out this year). And the pieces by and large focus on the past, and on family, and on trying to recover from the world having gone in some unexpected directions. The characters are looking for people that they cannot find, that are no longer there to be found, and it’s some emotional, rending work, but also full of resilient hope, and audacious survival, and there are tons of moments of tenderness and compassion and love even in settings torn apart by war and violence and loss. And yeah, let’s dive into the reviews! Two short stories and two poems open up Strange Horizons’ April content, and it’s an incredibly strong bunch of short SFF. The fiction looks closely at homes and at monsters, at people who are trying to escape in some ways the burdens of their histories and who instead find they are trapped by the need to return. Forced into systems that they don’t necessarily want to be in. 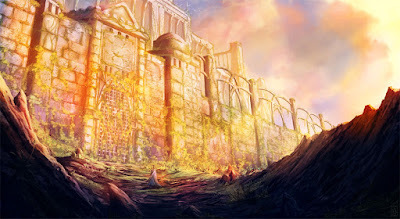 And it pushes them then to confront the monsters without and within in order to try and work toward healing and hope. It’s a bracing and beautiful batch of fiction and poetry, and I’ll get right to the reviews! 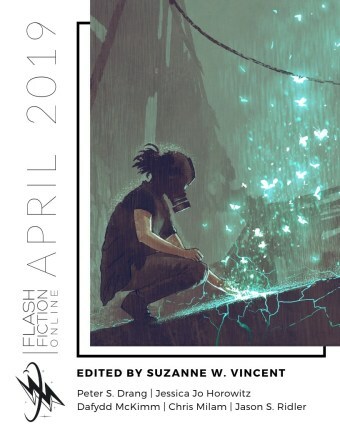 There’s aren’t any fools in April’s Flash Fiction Online, just three stories touched by grief and loss, defiance and denial and the need for something to change. In some of the story, the pressure comes in the form of another person, though that might be an abuser or a lover. For others, it might be a situation, a constant droning noise that won’t stop. But each of the characters loses something. Their freedom, their expression, their love. Even as they reach for something else, something they can’t quite name but for the want of it. And they reach, and reach, and the stories detail how they might finally take control of their futures, or fall victim to them. To the reviews!